Hyde Park, NY – World-famous chef and restaurateur Daniel Boulud is signing copies of his newest book, Daniel: My French Cuisine (Grand Central Life & Style, 2013) at The Culinary Institute of America (CIA) on Thursday, December 19. The signing, from 4:30 to 5:30 p.m., is open to the public and will be held at the Craig Claiborne Bookstore on the CIA campus on Route 9 in Hyde Park. The following day, Chef Boulud will deliver the commencement address at the college and hold another book signing for graduates and their families. A native of Lyon, France, Chef Boulud is currently based in New York City. His restaurant management company, The Dinex Group, consists of 13 highly respected and successful restaurants around the world. His eponymous flagship, DANIEL, is one of only seven New York City restaurants with a coveted three-star Michelin Guide rating and was included on this year's list of the World's 50 Best Restaurants. As part of Boulud's longstanding philosophy to nurture culinary talent and build careers, DANIEL is one of seven Dinex restaurants where CIA students can complete their required externship field experience. 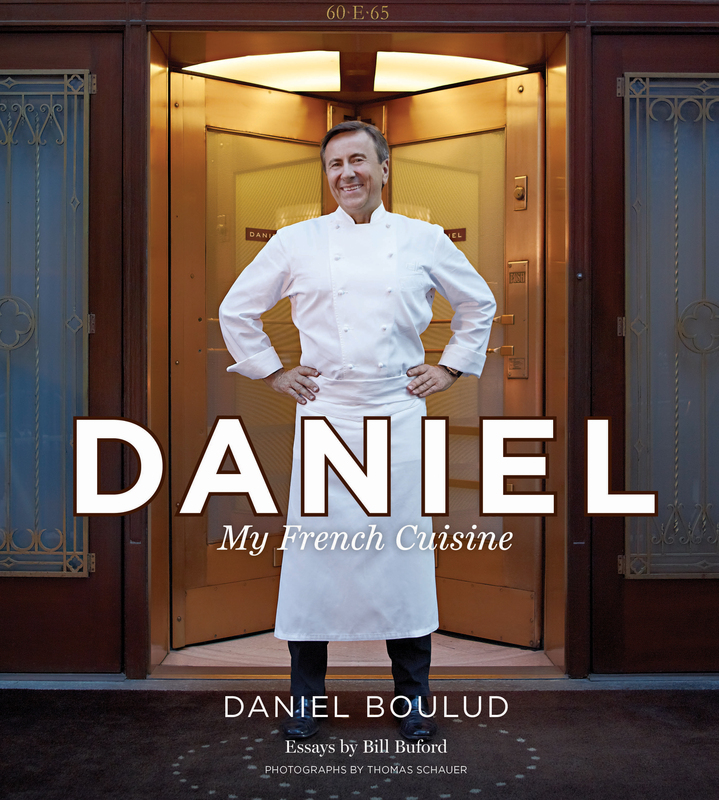 This year, in conjunction with the 20th anniversary of restaurant DANIEL, Boulud released Daniel: My French Cuisine, a definitive yet personal book about his love of French food. The 400-page cookbook includes more than 75 signature recipes, plus another dozen he makes at home for friends on casual occasions. The recipes are complemented by informative essays on subjects such as bread and cheese, as well as food journalist Bill Buford's thorough and humorous look at the preparation of 10 iconic French dishes, from Pot au Feu Royale to Duck a la Presse. A review on the Huffington Post called Boulud's eighth book "a masterpiece of the cooking art with a few surprises along the way." And Eater.com raved, "There is a very good chance that out of all the chef cookbooks coming out this year, Daniel: My French Cuisine will be the one people remember for years to come."